Start saving on labour and transport costs today. 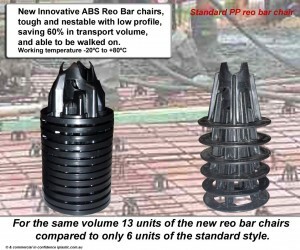 Present design reo bar chairs nest into each other at around the 25 to 30mm mark. 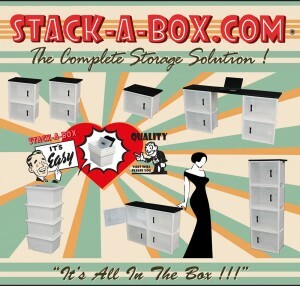 This means a stack of 100 pieces would be 2.6 meters plus tall. The new design reo bar chair nests at 10mm, this means a stack of 100 pieces of this new design would only be 1.05 meters tall, saving transport, storage and handling costs, a saving of 60% in volume compared to standard reo bar chairs, available in the market today. them as the old design ones, a considerable saving in labour when used. 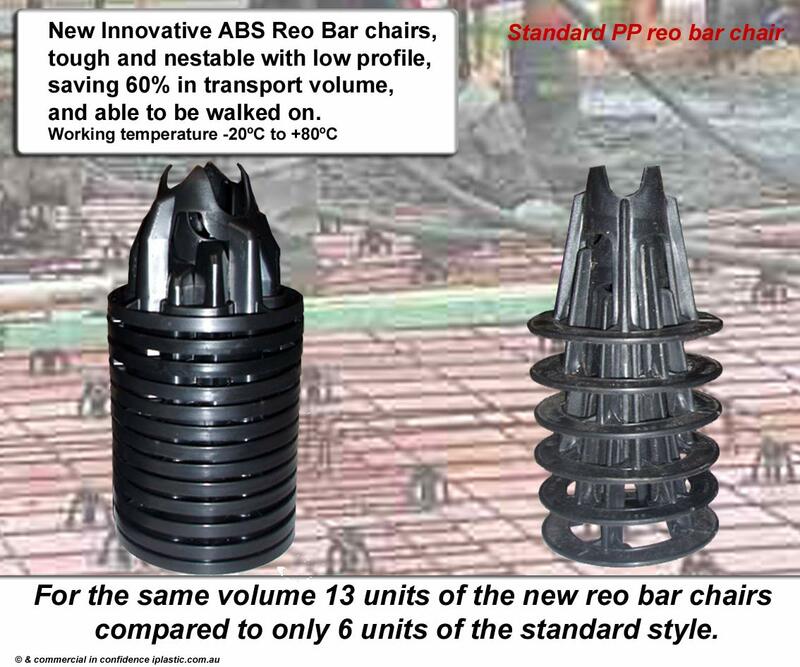 Made from tough ABS, and able to be walked on, and is stable in hot and cold ambient temperatures, saving replacement time, unlike existing reo bar chairs made from polypropylene that can break, when stood on, and their strength can be effected by hot and cold ambient temperatures, which then have to be replaced. Available in 50 to 65 mm reo bar chair size, and available in other sizes with volume orders. The new reo bar chairs are very competitive in cost. Proudly Australian designed by John Gaskell. Plastic pallet bin is very low cost and rated for 500k. They can be used for industrial transport and storage, for example in fish farms and for fruit and vegetable transport and storage. They are reasonably light, and very strong, and can also be used also for domestic use in garden sheds and garage as well. 500 Kg rated stackable pallet bins available in high volume. Size: 1005mm Long, 805mm Wide, 850mm High. Weight : Aprox. 16Kg (with holes), 19 Kg (no holes) Options: wheels & holes. Inside dimensions: 940mm Long, 750mm Wide X 697mm High.